The latest update for GTArcade’s popular free to play browser MMORPG League of Angels II is taking Relics to another level. The new Duality Runes can add two attributes at the same time to Relics, making them more powerful than ever. Below is an overview of how Duality Runes work. Duality Runes are special Runes that combine two different attributes and can only be slotted into Mythic Relics. Between the two attributes of Duality Rune, one is the main attribute, which can be HP, ATK, DEF, or Agility. The other is the secondary attribute, and these can be Hit, Dodge, Crit, or Endurance. Duality Runes are mainly obtained from Rune Fusion, which requires players to fuse two Runes of the corresponding attributes. 1. 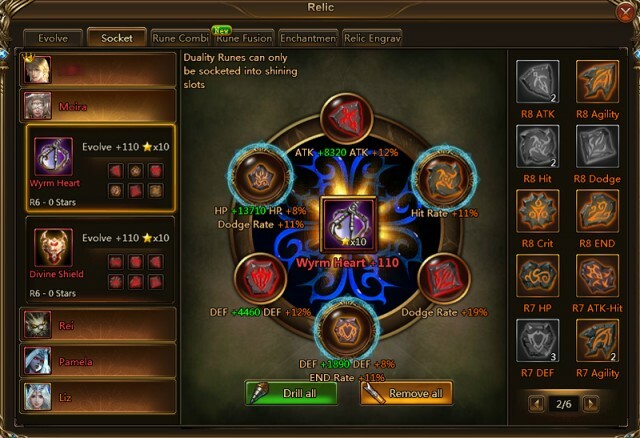 Players must select 2 Runes of different and corresponding attributes. 2. The 2 selected Runes must be of the same rank, and when fused will result in a Duality Rune of the same rank. 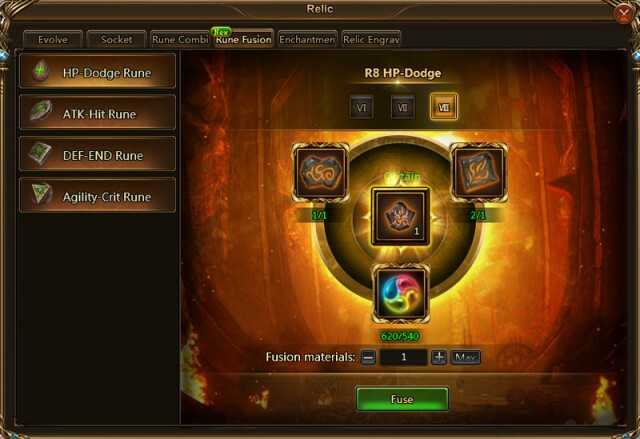 Currently, players can fuse rank 6, 7, and 8 Duality Runes. Players can only fuse according to these 4 combination right now. 1. Only Mythic Relics can have Duality Runes. 2. Duality Runes can only be socketed into Gold Slots. 3. Duality Runes of the same attributes can only be socketed once in each Mythic Relic. Empower your Relics to their ultimate state with new Duality Runes. Play League of Angels II now and reach heights like never before! Will you answer the call of the Angels like millions of players around the world have already done?